Why would you want other parts of Thurston County (Lacey, westside Olympia and Tumwater) to become more like downtown Olympia? Because it is more valuable. Way more valuable. Take two blocks, one nondescript block in downtown Olympia and another out in the westside. These are about as nondescript as you can get in downtown. One story blocks, about six or so businesses. I'm looking only at the north end of this block between Capitol Way and Columbia Street, bounded on the north by 5th Avenue. Taken together, these businesses cover about 30,000 square feet and pay over $38,000 in property taxes each year. In no way is this a new building. It was built in 1981 and the difference between it and the downtown half block is striking. The newest building in the downtown example dates to 1937. This westside building too is one story, but the lot it is one is dominated by road and parking. It was built in an era we're still living through when how you'd drive somewhere was the most important aspect in development. The need for parking makes this much larger parcel (at almost 45,000 feet), much less profitable with only $17,000 in property taxes. This is a difference between $1.27 in taxes per square foot and $.37 per square foot. The price of providing space for cars and making neighborhoods unwalkable is real. Strong Towns writes about this phenomenon, the older "blighted" areas of a community subsidizing the newer, shinier and automobile-centric developments. In the Strong Towns example, a series of closely packed buildings were leveled for a single Taco Johns, which removed much and the economic development from the land and replaced it with parking. 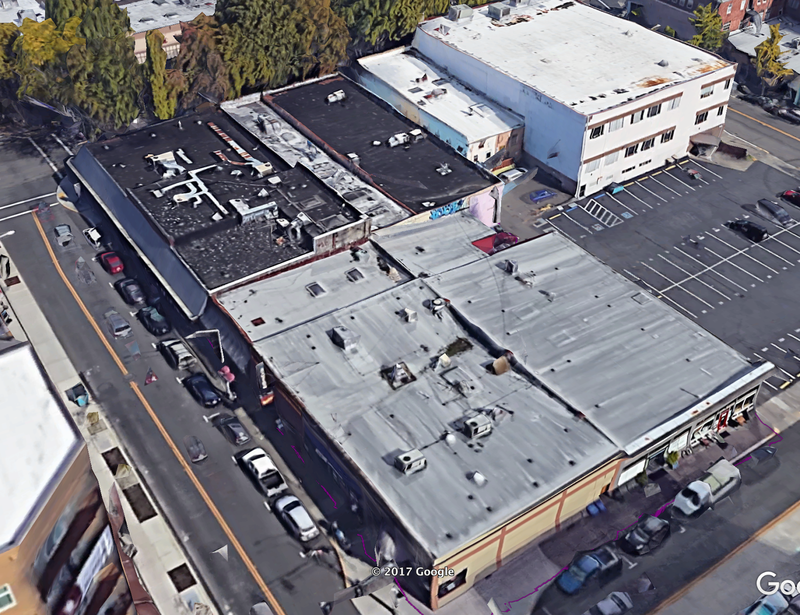 In an area like downtown Olympia, with even more housing coming on top of commercial activity, the need for large empty parking lots becomes less necessary. These aren't just people orientate places, but they're more productive by the acre. And, because even the dense part of downtown Olympia pays property taxes to both the city and the county, everyone benefits from the high density productivity of these blocks. You have not effectively isolated your variable (place) to prove your point. We don't know anything about why the second building is comparable to the first. What would happen to your numbers if you compare the downtown building to a busy strip mall on the West side, or a similar sized building on the Automall? Also, what are your parameters for "productivity"? Are you considering the lifetime "productivity" of the buildings (think sea level rise)? Could you make as good a case for anywhere that is by, say, a transit hub? There's an eye-catching headline here, but the comparison needs work. Good point Helen. It would have been better had I found two places that were right next door to each other and shown the difference in taxes, like in the Strong Towns example. What I was trying to show was that two different development patterns (auto centered and people centered) are not the same in terms of economic productivity. 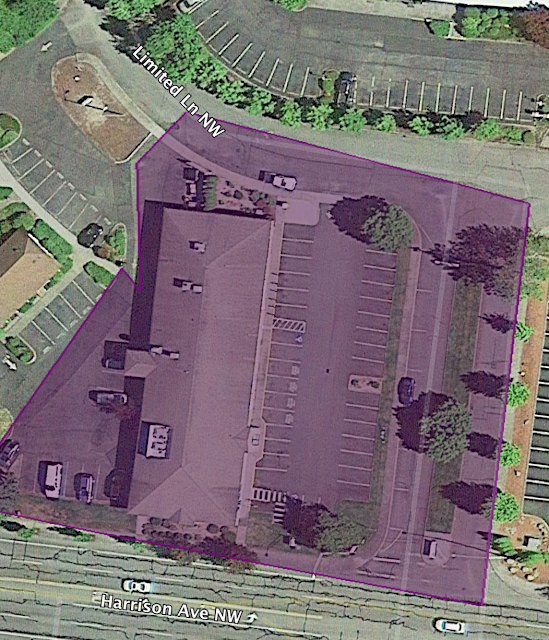 So, take these blocks in Tacoma: https://imgur.com/a/VrbuI To the east you have newer construction with larger parking lots split between a bank and a drive in fast food place. On the west you have a handful of older businesses, minimal on site parking, but a more urban walkable design. The older urban development contributes $32,000 in property taxes while the car centered parcels contribute $12,000.